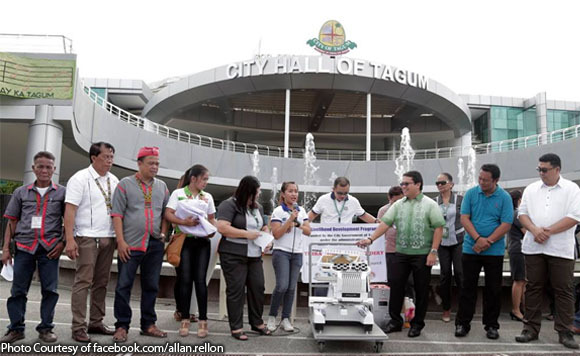 Tagum City in Davao del Norte has provided P800,000 for a tribal embroidery livelihood project as livelihood assistance. A report on Davao Today said the amount was granted to the Tagum City Federation of Barangay Tribal Council for the Tribal Dress Embroidery and Business Development Services. Expected to benefit are 10 trained indigenous peoples, including five men and five women, from Barangay Canocotan. Under the program, the beneficiaries are to produce high-quality, commercial embroidery that could be sold to the public. This includes accepting orders for customized designs. It will use modern technology via an embroidery machine.